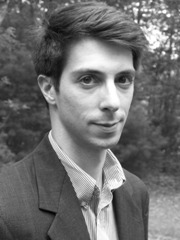 E. Thomas Finan teaches humanities at Boston University. Born and raised in Massachusetts, he holds undergraduate degrees from Cape Cod Community College and Boston University. He holds a PhD in literature and philosophy from Boston University. He has also taught at the University of Miami and the University of Massachusetts Dartmouth. His short play “Reunion” premiered at the Provincetown Theater Company in 2009.